In this tutorial I will teach you how to quickly install the BuddyBoss theme (version 3.0+). Before you start, make sure to install and set up WordPress, and optionally BuddyPress and bbPress as well. You can always download the most recent version of BuddyBoss by clicking “My Account” under your profile icon at the top of this site while logged in. Log in to your WordPress dashboard and go to Appearance > Themes. Click Add New. Click Upload. Find the theme file “buddyboss-[version].zip” from your computer and upload it. Click Install Now. Find the theme file “buddyboss-child-[version].zip” from your computer and upload it. Click Install Now. Activate the “BuddyBoss Child Theme” as your main theme. You can now access theme settings at Appearance > BuddyBoss and Appearance > Customize. Upload both theme folders via FTP to your wp-content/themes/directory. Make sure the parent theme folder is titled “buddyboss” and not any other variation for child themes to work. Log in to your WordPress dashboard and select Appearance > Themes. You can now access settings at Appearance > BuddyBoss. BuddyBoss should work on the vast majority of server setups. If you run into server issues, contact your web host to make sure your server has the following standard technologies installed. maybe you can help me. I had installed boddyboss 3.1.5 and buddyboss child theme 3.1.5. After this i aktivate the child theme. If i will change settings and so on i get the following failure. Make sure to turn off PHP errors on your site. WP_DEBUG should be set to “false” (the default) in wp-config.php. Or contact your web host and tell them to turn off strict PHP errors. You might want to contact your web host. It’s possible they have PHP errors turned on on your server, or that your version of PHP is really old. I installed the themes, and the message showed up below. 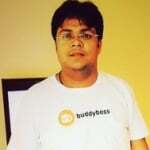 2) Upload the Buddyboss file as zip file: ‘Buddypress 3.1.6. zip’ and leave it not activate. The parent theme could not be found. You will need to install the parent theme, buddyboss, before you can use this child theme. Seems like Buddyboss is uploaded successfully. Appearence has ‘Buddyboss’ and ‘Customize’ after BuddyBoss theme is turned into active. Start over. This time rename ‘Buddyboss-2’ to just ‘buddyboss’. Then ZIP it and upload it. This will fix it. You will want to delete the version you already uploaded first. It probably was successfully uploaded, but your child theme will not be able to work right now. The parent theme’s folder must be just ‘buddyboss’ for the child theme to recognize it. Btw, when you download the ZIP from our site the theme folder contained in the ZIP is already named ‘buddyboss’. So if you just download a fresh ZIP you can upload that and it should work. Do I need perform additional steps to copy mobile phone supported CSS? The theme works fine when I’m viewing it from desktop. However, the layout is totally off the mark when viewing from mobile phone (slider images not loaded and not resized). Hi we are trying to combine our Buddypress site and regular WordPress site. We want to keep the Buddypress part ‘members only’ and the main blog part public. With this theme is it easy to make an Admin approved private members area? Allan, You can use any membership plugin like S2 member to lock down community section and you can keep blogs public. How do I add a search bar to the header menu in place of the logo I mean the to search bar, so when user access the site they will be able to search for product before login. Secondly, how do I fix the front home page slide is really so big and extra wide its look good the way it look. Please create a support ticket and support agent will guide your to modify template file to add search bar.